Park Yard Slang is the soul-baring sophomore opus from exquisite Melbourne songstress Jess Harlen, produced by Plutonic Lab. Harlen proves herself once more as a delectable vocalist and relatable song-writer, mastering her own style with cathartic conviction. Unafraid to embrace simplicity, Park Yard Slang revels in the independent beauty of instrumental solos and the texture of Jess Harlen’s voice, whilst paying its respect to classic soul music. 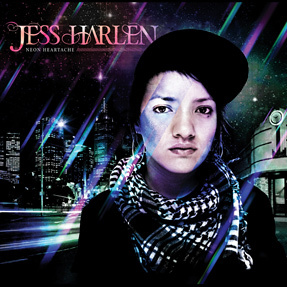 Harnessing her lyrical introspection, distinctive song writing and fusing it with renowned Mercury Prize winning producer Plutonic Lab, Jess Harlen’s remarkable debut album Neon Heartache embarks upon unchartered territory of soul music. Drawing on subtle hip hop beats, reggae rhythms and moments reminiscent of Motown. Described by Rave Magazine as “what real soul is meant to be – from the soul, not from the formula”.